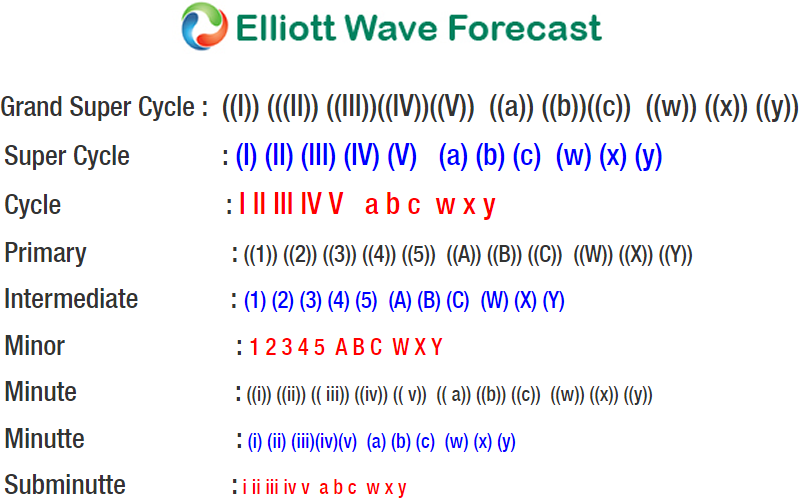 Short Term Elliott Wave view suggests that cycle from 11.8.2018 high (87) ended at 83.55 in Minor wave W and bounce to 85.27 ended Minor wave X. Pair has resumed lower in Minor wave Y, but it needs to break below Minor wave W at 83.55 for confirmation and to avoid double correction in Minor wave X. Internal of Minor wave W unfolded as a double three Elliott Wave structure where Minute wave ((w)) ended at 84.59, Minute wave ((x)) ended at 86.25, and Minute wave ((y)) of W ended at 83.55. Up from there, Minor wave X bounce ended at 85.27. The Internal of Minor wave X also unfolded as a double three Elliott Wave structure. Minute wave ((w)) of X ended at 85.08, Minute wave ((x)) of X ended at 84.34, and Minute wave ((y)) of X ended at 85.27. 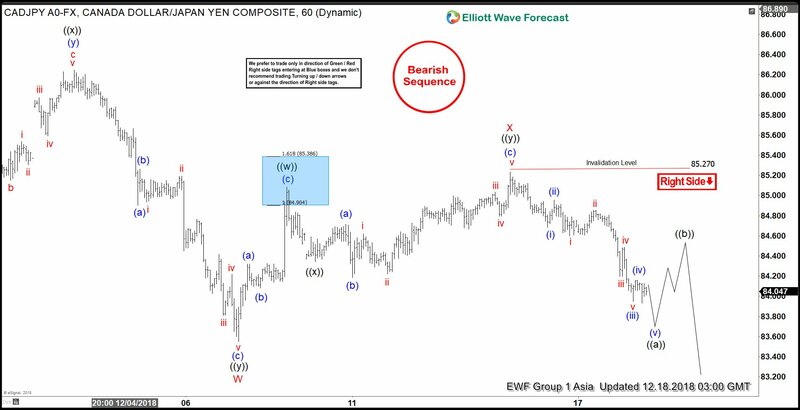 Decline from 85.27 is unfolding as a 5 waves Elliott Wave impulse structure. Minutte wave (i) ended at 84.68, Minutte wave (ii) ended at 84.96, Minutte wave (iii) ended at 83.95, and Minutte wave (iv) ended at 84.11. Expect pair to end Minute wave (v) soon, and it should also end Minute wave ((a)) of larger degree zigzag. Afterwards, pair should bounce in Minute wave ((b)) in 3-7-11 swing to correct cycle from 12/14/2018 high before the decline resumes.